The law firm of Wilson & Hajek assist injured employees of Buckingham Branch Railroad. Many railroad employees of branch line railroads, such as Buckingham Branch Railroad Company, do not realize they have the same rights under federal law as employees of the major railroads such as Norfolk Southern Railroad Company and CSX Transportation, Inc. 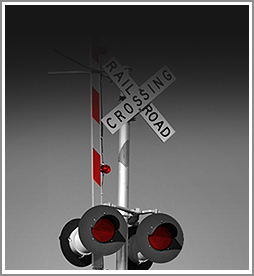 The Federal Employers’ Liability Act (FELA) affords a special protection to railroad employees injured on the job. The laws are very different from the laws of the Commonwealth of Virginia. One example is that contributory negligence is not a bar to recovery for the railroad employee, as it is under the laws of Virginia. FELA law follows a comparative negligence standard. If the railroad is negligent, even in the slightest, then the railroad employee can recover, with a percentage reduction for any negligence of the employee. Lawyers with many years of FELA experience, such as Francis Hajek, is able to evaluate railroad injury cases based on their knowledge of the FELA law. What may be complicated for the injured employee or an attorney without railroad law experience is an uncomplicated matter for the attorney at Wilson & Hajek. Our office in Charlottesville is convenient for Buckingham Branch Railroad employees and CSX Transportation, Inc. employees. If you have a question concerning an on-the-job railroad injury, please call our toll free number for a free consultation and visit our website for information about the FELA and our services.